Dr. Keki Sidhwa, N.D., D.O., D.N.H. '''Keki Sidhwa N.D.D.O. DNH.''' is the best known exponent of Natural Hygiene in the United Kingdom, he was born in Bombay, India of Parsi, Zoroastrian parents. After studying in Bombay University, he graduated from the Edinburgh College of Natural Therapeutics and the British College of Naturopathy and Osteopathy. 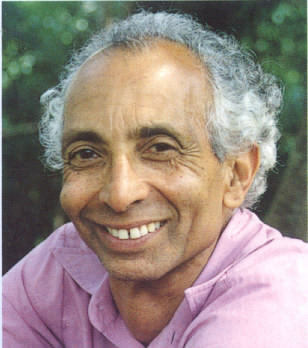 He had been in private practice since 1952 until his semi-retirement in 2004; co-founder and president of the British National Hygiene Society and ex-president of the International Association of Professional Natural Hygienists, founder and director of Shalimar Health Home, where he has helped over 25,000 people to overcome their ailments by fasting and following a Hygienic life style before its closure in 2004 He has lectured extensively in Europe, India, America and Great Britain where he now resides. His interest in primitive cultures, anthropology and comparative religions has helped him to formulate his views on natural living. He is the Editor of the magazine The Hygienist, the oldest magazine currently of its kind. Kingston Chronicle (Rude Health). Various dates; various articles. [Smallpox] The following extract from an article by Keki R. Sidhwa from Heath for All, "The Scare Diseases , May 1965.